It is a dry dish, a common fish dish in Kerala. 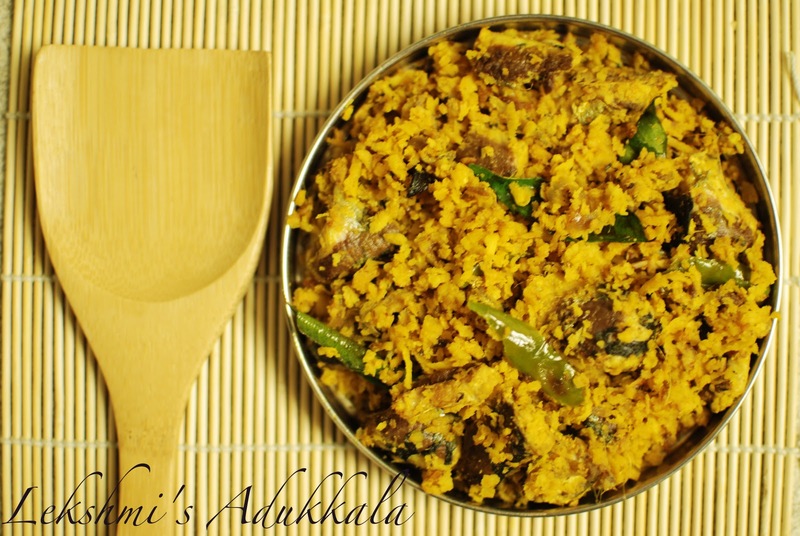 The main ingredients are Sardine, grated Coconut and chopped Onion with Kudampuli. Slice green chilly and pearl onion. Cook the fish along with salt, kudampuli and turmeric Powder in little water. Cover the pan with a lid and allow to cook . Mix the grated coconut, chilly powder, corriander powder, sliced green chilly, chopped ginger and garlic and pearl onion. Squeeze this mixture very well with hand. When the fish is cooked well,add this coconut mix and mix well. Add Fenugreek powder, Curry leaves and Coconut Oil and mix well. Remove from fire till water in the fish fully dries up like a thoran.